As you might have already noticed, we love using edible flowers in our kitchen. They can add an exotic touch to your meals or make even the ordinary dish look super pretty. You need to remember that not all flowers are edible. On the contrary, some can be very poisonous. So, make sure you are 100% certain about the variety of the flower you are using. Only eat organically grown edible flowers and avoid those sprayed with pesticides or other chemicals. The best thing you could do is to grow your own. Make sure you wash your flowers prior to use. Nasturtium is an annual plant from the Tropaeolaceae family that grows by climbing and sprawling. 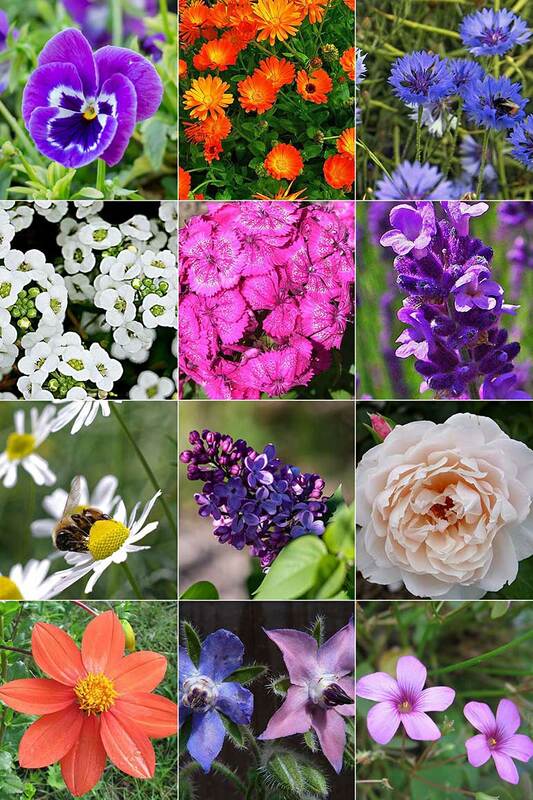 It is very easy to grow and it will flower throughout the summer and into the autumn. The flowers come in various colors including yellow, orange, cream and reds. All parts are edible (the leaves, flower buds, flowers, and seed pods) and can be added to salads. The flowers contain about 130 mg vitamin C per 100 grams, about the same amount as is contained in parsley. Also, they contain up to 45 mg of lutein per 100 g, which is the highest amount found in any edible plant. The unripe seed pods can be harvested and dropped into spiced vinegar to produce a condiment and garnish. 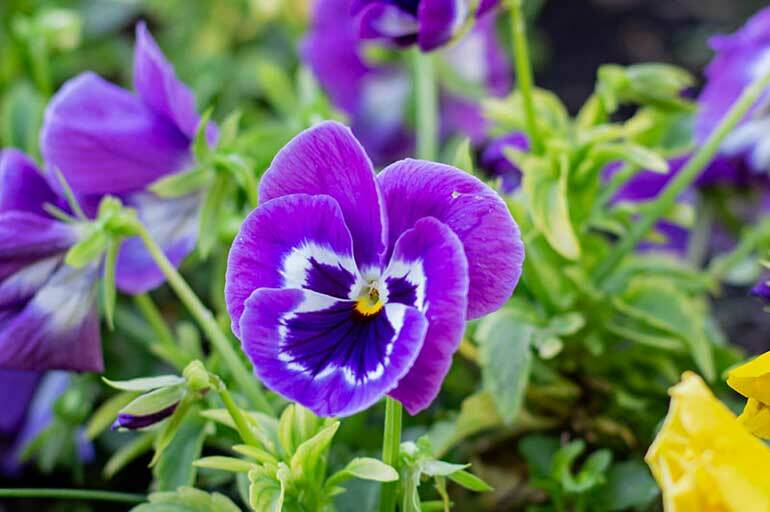 Pansies are one of the most popular annuals. They are usually planted in spring or fall and grow best in cool weather. They like rich, well-drained soil, and full sun or partial shade. The whole flower is edible. They have a mild, minty flavor. The flowers are great for candying and for decorating cakes and desserts. Calendulas are one of the easiest and most versatile flowers to grow in a garden, especially because they tolerate most soils. Blooms last throughout the summer and well into the fall. Flowers were used in ancient Greek, Roman, Middle Eastern, and Indian cultures as a medicinal herb as well as a dye for fabrics, foods, and cosmetics. Many of these uses persist today. The flowers are traditional ingredients in the Mediterranean and Middle Eastern dishes. Flavors range from spicy to bitter, tangy to peppery. You can sprinkle them on soups, pasta or rice dishes, and salads or use as a replacement for saffron. It is an annual flowering plant in the family Asteraceae growing to 40–90 cm tall, native to Europe. In the past, it often grew as a weed in cornfields, hence its name. The flowers are most commonly an intense blue color with the blue pigment called protocyanin. It flowers all summer. The flowers are edible and can be used for culinary decoration, for example, to add color to salads. They have a slightly spicy, clove-like flavor. Cornflowers are also often used as an ingredient in some tea blends and herbal teas. Sweet Alyssum is an annual that self-seeds very easily. It is best planted in early spring and requires little maintenance when growing. When grown in gardens, it is typically used as a groundcover, as it rarely grows higher than 20 cm tall. It is a member of the mustard family and its leaves and flowers are edible with a typical pungent flavor. Try adding them to salads or use them for decorating your desserts. Dianthus need a fertile, well-drained soil that is alkaline. Most of these flowers have a pleasant, spicy, floral, clove-like taste and are ideal for decorating or adding to cakes. They’ll also make a colorful garnish to soups and salads. The petals of Sweet Williams will add zest to ice cream, sorbets, salads, fruit salad, dessert sauces, and stir-fries. It is advisable to remove the white heel at the base of the petal as this has a bitter taste. 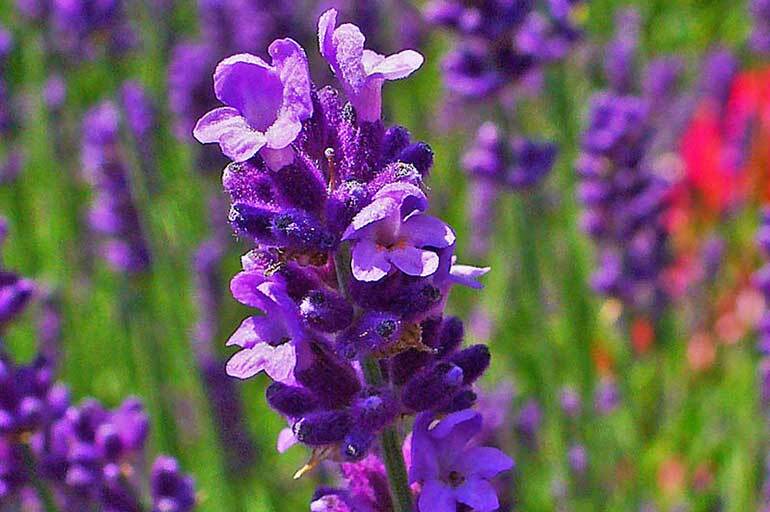 Lavender flourishes best in dry, well-drained, sandy or gravelly soils in full sun. It can be used for both, ornamental and culinary purposes. Culinary Lavender is a member of the mint family and is close to rosemary, sage, and thyme. English Lavender (Lavandula angustifolia, particularly ‘Munstead’ ) has the sweetest fragrance of all the lavenders and is the one most commonly used in cooking. You can add it to your salads, or use it in most dishes in place of rosemary. You can also add flowers to your cakes or use them as decoration or even make your own lavender sugar to use in beverages and baked goods. Flowers and leaves can be used fresh, and both buds and stems can be used dried. Chamomile is an annual with feathery leaves and small, white, daisy-like, sweet aromatic flowers. It is a member of Asteraceae/Compositae family and is represented by two common varieties German Chamomile (Chamomilla recutita) and Roman Chamomile (Chamaemelum nobile). Both, the leaves and the flowers are edible. German chamomile is commonly considered to be the best chamomile for making tea as it is has a nice, sweet taste. In addition to floral teas, chamomile makes a lovely addition to cakes, biscuits, bread, and puddings. 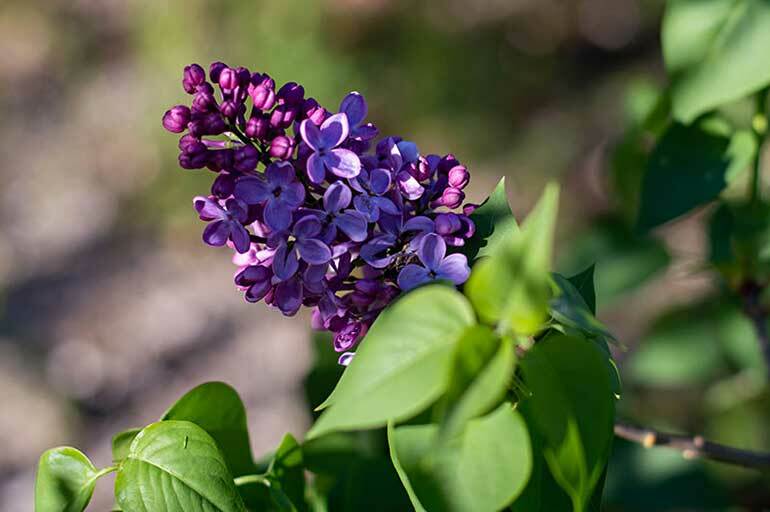 The lilac is a very popular plant because of its attractive, sweet-smelling purple flowers which appear in early summer. The flowers are edible so you can add them to your desserts or just use them as a garnish on salads, cakes or sweets. They make such a beautiful decoration. Also, you can crystallize the blossoms and use them as candied flowers or even make a lilac infused vinegar. 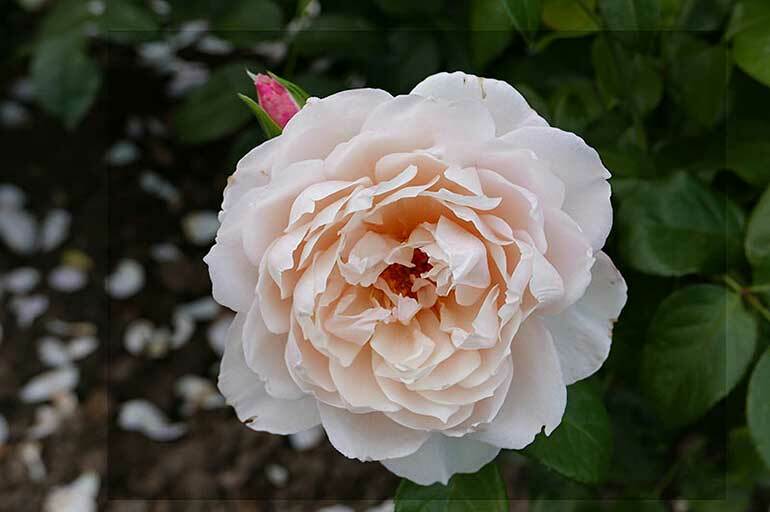 Not all roses are created equally edible because many of the varieties were hybridized mostly for ornamental purposes. Older varieties such as Rosa Rugosa and The Generous Gardener are the best choice for cooking and food decoration. They have a sweet flavor with a slight spice and the intensity of flavor will depend on the growing conditions. Before eating make sure you remove the white, bitter base. You can use petals in many creative ways: to garnish ice creams, smoothies, and desserts, or you can sprinkle them on salads. If the flowers are crystallized, they will make attractive cake decorations. Also, you can freeze them in ice cubes to use in beverages. 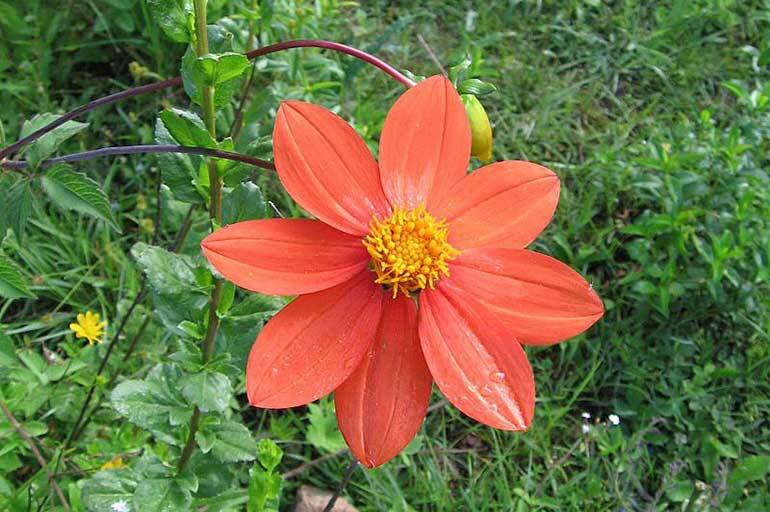 The dahlia family has many species but the two species that are completely safe for human use are: the common garden dahlia (D. x pinnata) and D. coccinea. Both, the flowers and tubers are edible. The flavors and textures can vary greatly depending on the growing conditions. Dahlia flowers are becoming more and more popular among chefs and caterers and are used to enhance the flavor and visual appeal of foods from salads to desserts. The tubers of edible dahlias are somewhat similar to yacon or jicama raw. The texture is crisp and juicy. They are rich in inulin which can cause digestive issues for some people so it is best to start slowly when eating dahlia tubers for the first time. You can prepare them just like you would a potato, in soups, and stews. 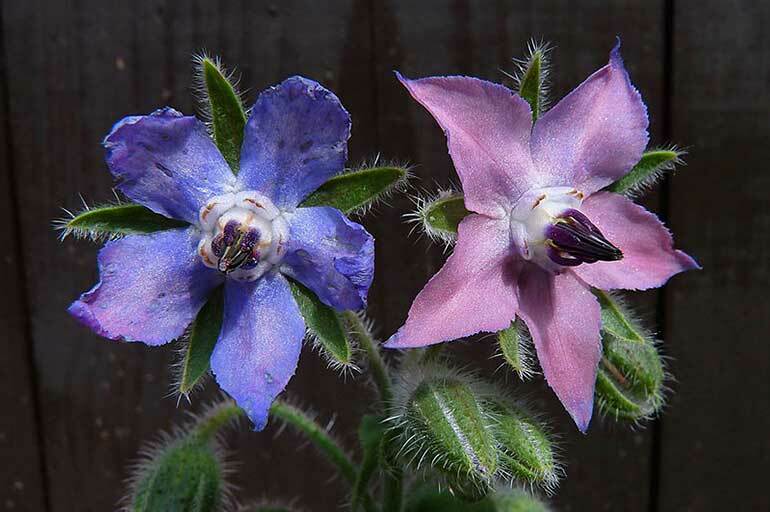 Borage, also known as a starflower, is an annual herb with blue star-like flowers. It is an old herb, known at least since Roman times and is one of the easiest plants to grow from seed. If it is allowed to bloom & set seed, it will readily self-seed each year. Its leaves, flowers, and stalks are edible and taste a little like cucumber. Borage leaves are good in salads, veggie dips, and spreads. Also, you can add them to soups or sautéed dishes. Borage can also be used only for the flavoring during the cooking, and then removed from the dish before serving. Its leaves do contain a small amount of silica which may irritate the skin of sensitive individuals, so handle it with care. 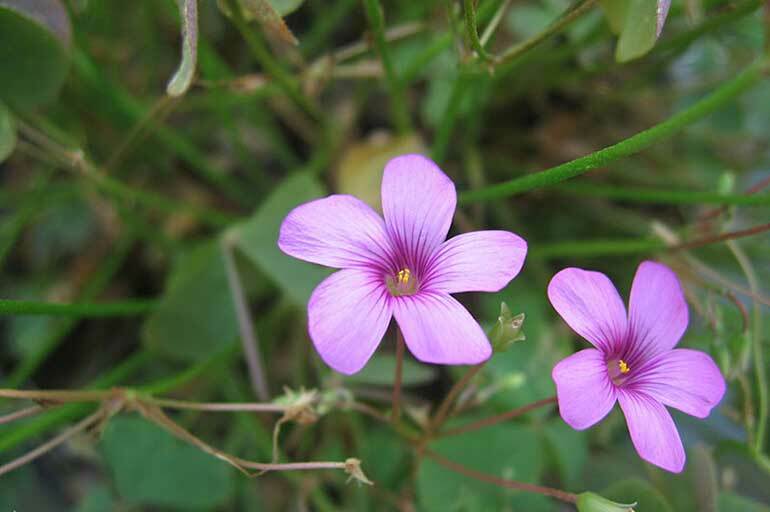 Pink sorrel is a perennial plant growing up to 40cm and is often grown as an ornamental in gardens. Both leaves and flowers are edible. It has a lemony flavor and is great for salads and for the decorations. The leaves contain oxalic acid so you should use it in moderation because oxalic acid can bind up the body’s supply of calcium leading to nutritional deficiency. The quantity of oxalic acid will be reduced if the leaves are cooked. People with a tendency to rheumatism, arthritis, gout, kidney stones or hyperacidity should take especial caution if including this plant in their diet since it can aggravate their condition. If you have some more tips to share about edible flowers we’d love to hear them! Thank you so much for reading! If I may ask, what is your favorite edible flour? I love pansies so much. BTW, I love your blog logo, it’s super cute :-). Have a lovely day! Thank you for visiting Claudia. I am glad that you like this article. I was actually reasearching this for myself because I was always so unsure about the flowers I used in my kitchen. And, for example, I had Sweet Alyssum for a couple of years in my garden and I had no idea it was edible ha, ha. We learn new things every day, right? Have a great day my friend!